It’s fast, funny, outrageously illegal — and the granddaddy of the cross-country speed spectacles that have raced across movie screens in the past two generations. 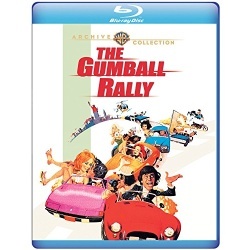 Put your pedal to the metal for The Gumball Rally. New York City is the starting point, and this supersonic contest ends 2,900 miles later in Los Angeles. In between, director Chuck Bail (coordinator of many classic movie stunt sequences) and a crew of actors and stuntpersons treat you to a truly breakneck road comedy. Gary Busey plays a daredevil in a 600-horsepower Camaro. 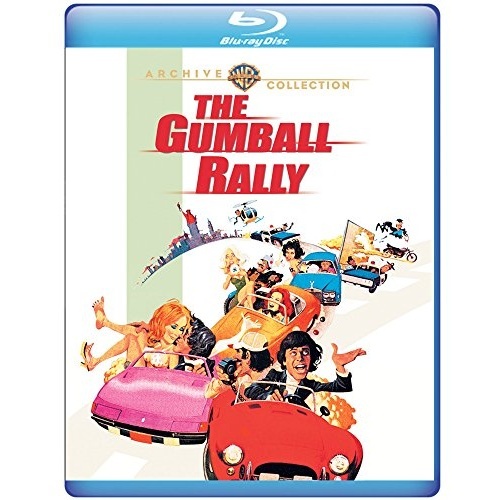 Raul Julia portrays an Italian Grand Prix champ who's also an incurable romantic in a fast Ferrari. Michael Sarrazin as the race's crafty, overconfident organizer pilots a classic Cobra. Ready, set, zoom!